FLINT, Mich. (KFSN) -- Five people, including the head of Michigan's health department, were charged Wednesday with involuntary manslaughter in an investigation of Flint's lead-contaminated water, all blamed in the death of an 85-year-old man who had Legionnaires' disease. Nick Lyon is the highest-ranking member of Republican Gov. Rick Snyder's administration to be snagged in a criminal investigation of how Flint's water system became poisoned after officials tapped the Flint River in 2014. Lyon, 48, the director of the Health and Human Services Department, is accused of failing to alert the majority-black population about an outbreak of Legionnaires' disease in the Flint area, which has been linked by some experts to poor water quality in 2014-15. If convicted, Lyon could face up to 15 years in prison. "The health crisis in Flint has created a trust crisis for Michigan government, exposing a serious lack of confidence in leaders who accept responsibility and solve problems," said state Attorney General Bill Schuette, who said his probe is moving to the trial phase and signaled that Snyder, who has apologized for his administration's failures that led to and prolonged the crisis, may not be charged. "We only file criminal charges when evidence of probable cause of a crime has been established. And we're not filing charges at this time," he said. Lyon also is charged with misconduct in office for allegedly obstructing university researchers who are studying if the surge in cases was linked to the Flint River. The others are people who were already facing charges. They are: Darnell Earley, who was Flint's emergency manager when the city used the river; Howard Croft, who ran Flint's public works department; Liane Shekter Smith; and Stephen Busch. Shekter Smith and Busch were state environmental regulators. The state's chief medical officer, Dr. Eden Wells, 54, was charged Wednesday with obstruction of justice and lying to an investigator. "Dr. Wells vehemently denies the charges," defense attorney Jerry Lax said. Other attorneys in the case have not returned calls seeking comment. Snyder expressed support for Lyon and Wells. "Some state employees were charged over a year ago and have been suspended from work since that time. They still have not had their day in court. That is not justice for Flint nor for those who have been charged," he said in a statement. "Director Lyon and Dr. Wells have been and continue to be instrumental in Flint's recovery. They have my full faith and confidence, and will remain on duty at DHHS." Flint began using water from the Flint River while under state emergency management, but did not treat it to reduce corrosion. Toxic lead from old plumbing leached into the water system, causing elevated levels in children and leaving residents to drink and bathe with bottled or filtered water. Some experts also have linked the water to Legionnaires' disease, a type of pneumonia caused by bacteria that thrive in warm water and infect the lungs. People can get sick if they inhale mist or vapor, typically from cooling systems. There were nearly 100 cases in the Flint area, including 12 deaths, in 2014 and 2015. Lyon, Croft, Earley, Shekter Smith and Busch are blamed in the death of Robert Skidmore in December 2015. He was admitted to McClaren Flint hospital in June 2015 with symptoms consistent with pneumonia. He died at home six months later. Lyon was personally briefed in January 2015 but "took no action to alert the public of a deadly" outbreak until nearly a year later, special agent Jeff Seipenko told a judge as the charges were filed. Lyon has admitted that he was aware of the Legionnaires' outbreak for months but wanted to delay saying anything public until state Health and Human Services Department investigators finished their own probe. He told state lawmakers that experts likely wanted to "solve the problem" before they raised it with senior officials in the Snyder administration. The investigation, he said, "wasn't one that was easily solved." 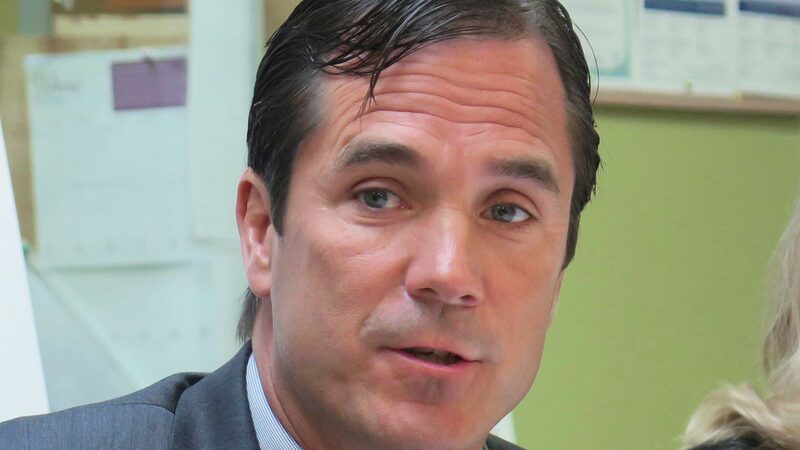 Schuette has now charged 15 current or former government officials in an ongoing probe that began in early 2016, including two emergency managers whom Snyder appointed to run the impoverished city of roughly 100,000 residents, a majority of them African-Americans. The Michigan Civil Rights Commission issued a report in February blaming "systemic racism" going back decades for the problems that caused the water crisis in Flint. In March, Corrine Miller, the state's former director of disease control, was sentenced to probation and ordered to write an apology to residents after pleading no contest to willful neglect of duty. She is a key cooperating witness for Schuette's team.